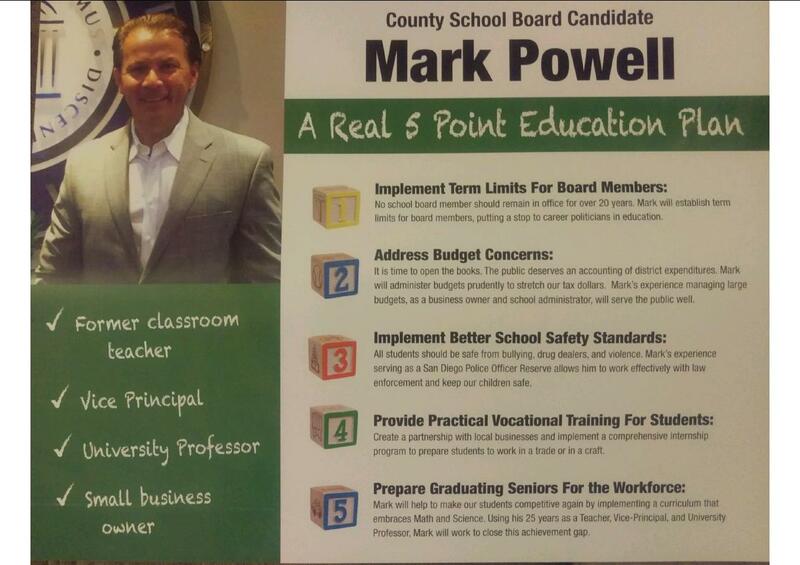 This propaganda piece was created by California Charter Schools Association Advocates Independent Expenditure Committee in favor of Mark Powell in the San Diego County School Board - District 1 election. 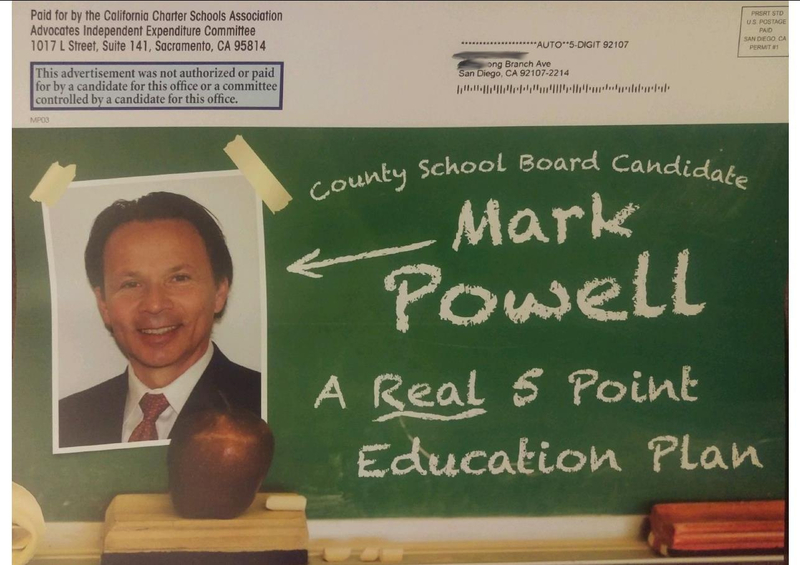 Received by voter on 05/25/2016 via mail. This entry was posted in Literature Piece on June 5, 2016 by administrator.